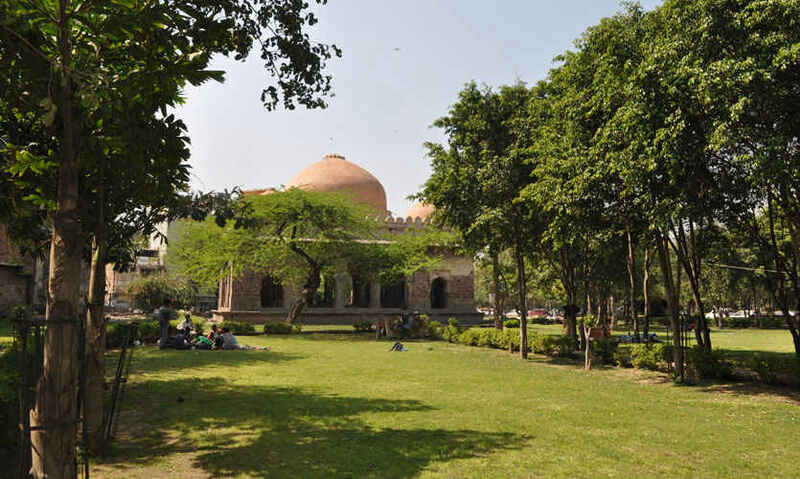 The Barakhamba Tomb appears to be the handsome ruins of a grand edifice of red sandstone. The twelve immaculate pillars, which give the place its name, are attractive from afar, piquing your interest with their wonderful, artistic symmetry. You are inevitably drawn to this monument at the heart of Nizamuddin Basti - visible from the main road, at a stone’s throw from the Dargah of Nizamuddin Auliya, but as you come close, you are physically taken aback by the sight you behold. In a subconscious attempt to delay your entry into the monument as much as possible, you circle round the park in which it is situated, twice, looking for a hint of a gateway. You find nothing but a generous gap in the almost-military fencing around the park. In a state of dazed disbelief, you squeeze yourself in through the rusted, grimy iron fence, jump over the boundary wall and land dangerously close to a heap of dried dung. The huge green park that has evidently witnessed better days is now home to not less than fifty homeless people who have created a sordid haven around the trees in the park, at the foot of the once-grand pillars, along the crumbling boundary walls, on the discoloured patches of grass. You wonder how to make your way through the sleeping emaciated bodies, open garbage, human excreta and men staring at you in a drunken stupor - an astounding labyrinth of inescapable squalor. You know you cannot even attempt to make conversation here. While you focus your camera on the eye-catching features of the monument, you know you&apos;re intruding upon a space of despondent seclusion, a state of privation impossible to behold, believe, relate and register. This fourteenth century erection is the tomb of an unidentified nobleman, of much importance in his time. But the heart-rending sight of its present-day abjection prevents you from dwelling into the profundities of historical memory. You simultaneously pity and are repulsed by the current day scenario, and find it difficult to concentrate on the poised beauty of the historical relic standing before you. 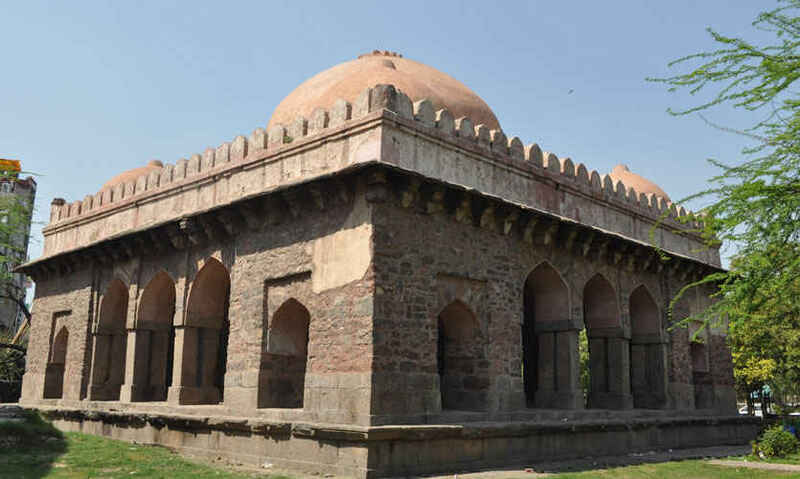 The tomb is said to belong either to the Lodhi or Tughlaq period. It has no doors or lattices and is open on all four sides. You can make out a small central hall surrounded by narrow verandas interspersed with pillars. There are three arched openings on each side, and what looks like domed chambers in each corner. Right outside the twelve-pillared complex are two more unidentified tombs. Much of the exquisite calligraphy and tasteful sculpture stand effaced by the machinations of time, a toddler learning to spell on the ancient walls and the vindictive scalpel of a hurt lover. As you feel the menacing gaze of the inhabitants, enclosed in a timeless cocoon of unimaginable misery, you begin to hasten away. 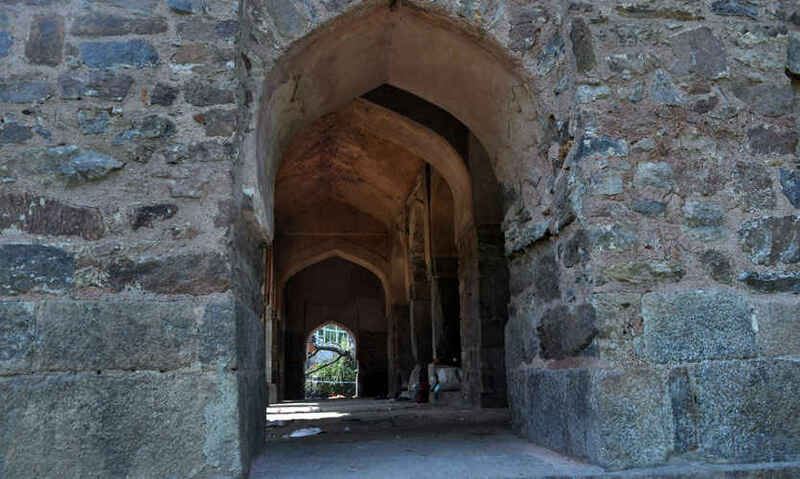 You carry no lively impressions of the once-magnificent Barakhamba, initially intended to be built as a Chausath (sixty-four) khamba monument. Can you marvel over the glory of the past when faced with an unabashedly devastating spectacle of an agonised affliction of the present? “Keep off the grass. Mosquitoes here will give you malaria” - a withered voice titters as you leave. You nod your head slightly and leave the park in muted horror. This was what transpired when we gingerly made our way over to the once-grand historical monument! It&apos;s such a shame to see such historical treasures crumble away without any semblance of preservation.